Plot – After suffering a life threatening head injury, up and coming rodeo star Brady Blackburn (Jandreau) must learn to come to terms with a life outside of the rodeo arena. To understand and truly appreciate the quiet and understated, yet graceful power and poignancy of The Rider, one must first understand the background to up and coming Chinese born director Chloe Zhao’s independent offering. Telling the tale of injured American rodeo rider and genuine American cowboy Brady Blackburn, The Rider is an incredible feet of filmmaking nuance and care, due to the fact everyone we see and hear from in Zhao’s tale plays a version of their real life selves. Lead impressively by Brady Jandreau as Brady, who indeed suffered a life threatening injury whilst participating in his beloved rodeo career, The Rider features non-actors playing impressively across a realistic and character driven narrative that encapsulates the modern day American west and the bravado that comes from it, as well as capturing beautifully the landscape that these wind swept plains entail. It’s a filmmaking miracle achieved by Zhao, with so many film’s that have tried to do similar things with non-actors failing to meet the mark (recent failure 15:17 to Paris a prime example) but Zhao’s collection of non-actors (that includes Brady’s Asperger’s suffering sister Lilly and real life wheel-chair bound friend Lane Scott) all acquit themselves brilliantly to Brady’s journey from potential rodeo star to struggling everyman, whose love for horses and skill in this field is a sight to behold. The Rider feels so close to being a documentary but also so carefully considered as a cinematic offering, that it acts as the perfect blend of realism and movie making magic as Zhao captures some breathtaking scenery and spectacle as well as some carefully observed human moments that will bring a tear to even the most hardened of hearts. It’s the type of humanly resonate study that will reverberate through viewers of all shapes and sizes from the world over and there’s little point in trying to argue that Zhao’s film is underserving of its highly praised critical and audience run. 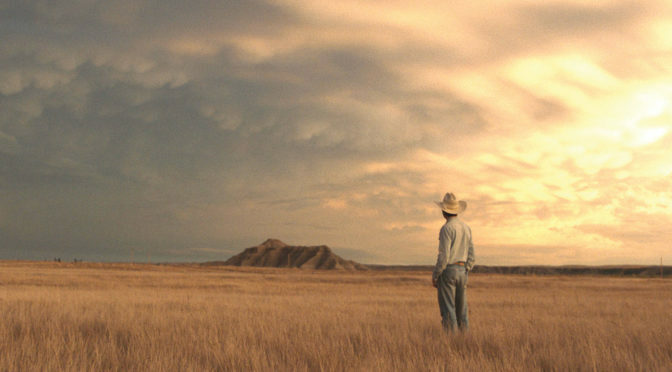 Easily one of the year’s most impressive independent offerings, that features a collection of some of the most naturalistic non-actor performances seen in years, The Rider is a small film with a big heart, that also acts as a stunning and moving examination of the modern day American west. Something I’d like to note about The Rider and American Honey, another masterful film on the forgotten America: they are both directed by non-Americans. I say this as an immigrant myself, only being in this country for a few years. It seems that the outsiders possess a perception of the USA that gets lost to all those who live here. I seriously doubt a film with the power of The Rider or American Honey would be made by a native director. Great thoughts mate and one’s that I would agree with! This one was really impressive as an outsiders capturing of such time and place.